Faience. Blue glaze. 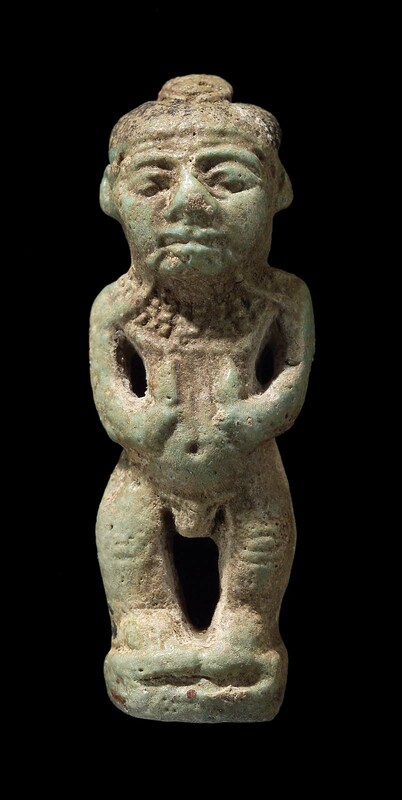 Standing figure of Pataikos in form of Cippus of Horus, with serpent in mouth, scarab on head. Under base incised lion and crocodile seal. From Giza. May 1928: Excavated by the Harvard University–Museum of Fine Arts Expedition; assigned to the MFA by the government of Egypt.